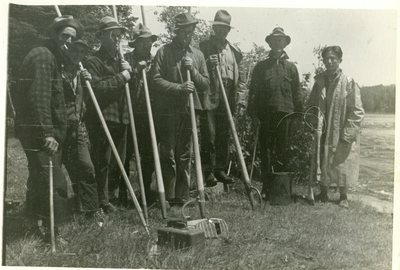 An image scanned from a black and white photograph of a group of eight men holding tools used for driving logs down river. The man at the far right appears to be Native American. No additional information appears on the back of the photograph.